I’m appalled by what I see in the gym. I start to notice it most when the “New Year’s resolution” crew rushes to the gym on January 1st – determined that this will be the time they follow through on their words and get into shape. The problem is that a lot of beginners are clueless when they actually begin to train especially when it comes to weight training. If you are a regular gym rat, this article might not give you much to work with, but you still might find it funny or informative nonetheless. These are the tips for the beginner, the rookie in the gym, who is passionate about improving, but might not know what exactly he needs to do. Track this week to week. Stay focused and do not deviate from your predetermined workout days. If the gym is a foreign place for you, take baby steps. Don’t try to lift too much weight – the sin of most newbies. Slowly build your intensity up. Take a minute or two in-between sets. Breath deep. Stick to your plan, but have patience. It will take time to get results. This is where most people fail – they give up too quickly. Nothing happens overnight. Be realistic with your goals – the key is consistency. I see so many people new people in my gym, and after a week or two, they disappear forever. You must make the gym a part of your life, there is no other way to look at it. Staying hydrated during your workout is important. Rookies go back and forth to the water fountain. Come ready with your own water bottle. No need to go crazy here, but simply doing a few minutes of targeted stretches before and after your routine. 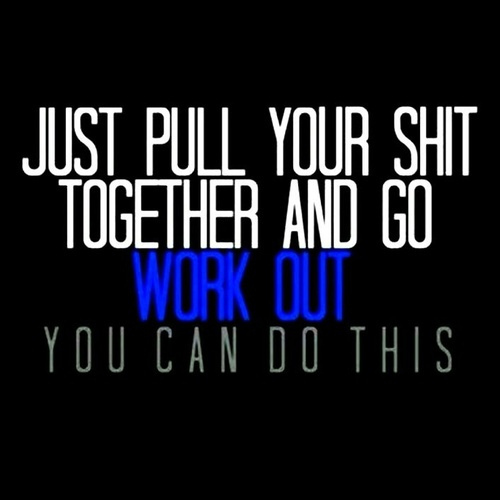 Too many people just go through the motions when working out. Don’t be that guy – you get results when you sweat. When you sweat, your heart rate is up, and this accelerates fat loss and getting shredded. The #1 downfall of most new gym goers is awful form. Almost every exercise is useless is the form is not 100% correct. YouTube has instructional videos for almost every exercise, as do most fitness websites. There is no excuse in today’s world for failing to learn the proper motions of an exercise. Contract the muscle of focus as tight as possible. 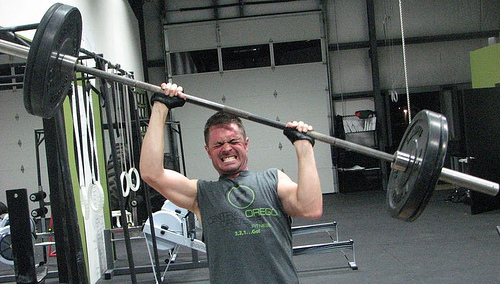 This allows for increased blood flow, and is vital for every rep, every set. 7-9 hours of sleep is necessary – every night. Our bodies change when we sleep. Have a protein and carb infusion 30 minutes before and after your workout. Also, skip the pre-workout drinks, and take a caffeine pill for energy. Leave your phone in the locker. If you listen to music on your phone, refrain from calls and texting. Forget a workout buddy and save the banter with the other regulars. You are there to work, plain and simple. Only a few machines have a place in your workout routine. Stick to free weights, barbells, and other free form devices as much as possible. Body weight workouts are effective as well. Multi-muscle exercises (squats, deadlifts, pull-ups, pushups, etc.) always trump isolation moves. With good form comes knowing how much weight your body can handle. Always make sure you are using weights that are heavy enough to contract properly. You want to be able to get 4-7 reps, but no more than that. This is why I recommend you track your numbers. I did this for years, wasting countless $$$ in the process. Skip the trendy new pre-workout drink. If needed, grab a coffee or buy caffeine pills (very cheap). The placebo effect definitely got me – because I took something I believe it to help more than it actually did. Another mistake I made for years; gloves are completely unnecessary. I am actually embarrassed I used them for as long as I did. 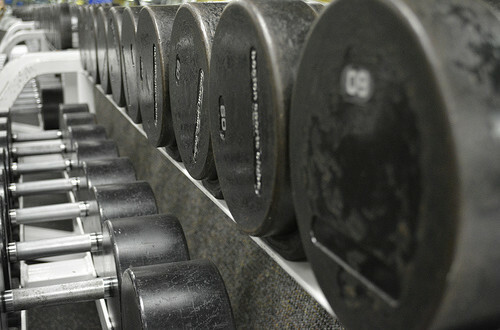 Grab the weights with your bare hands – there is no better feeling. Soreness is your friend. Push through it. If you feel pain, you will know. Take a few days off, as there is no need to risk serious injury. Switch up your music, outfits, exercises, workouts, etc. Just make sure you continue to lift heavy. No matter what, do not stop. Stick to it every day and embed working out into your life, similar to eating and sleeping. Eventually, it will become second nature and you will always keep a commitment to being in shape and healthy. Follow these basics for an improved routine and mindset in the gym. Any questions or feedback? Are you new to a gym? Let me know!